It’s strange, seeing the Doctor’s home planet. It’s cause for great excitement, and that can naturally result in a huge let-down too. For every Deadly Assassin, there’s an Arc of Infinity. The joy at seeing the capitol at the end of Heaven Sent led to the bitter disappointment (at least to me) of Hell Bent. Gallifrey gives you a lot to live up to. Fortunately, in The Tenth Doctor #2.14, writer Nick Abadzis presents us with a very tantalising prospect, and pays it off – as well as setting up a plot strand that’ll be picked up later on down the line. The Doctor and Cindy Wu are on a shopping trip for Anubis, except the TARDIS has instead landed on the Doctor’s homeworld at a time I can’t recall ever seeing before: Gallifrey before it was Gallifrey. Before the Time Lords. Go on: pick this comic up now. Surely that’s all you need to hear to tempt you into buying? I fear that sometimes, when delving into the Time Lords’ mythology, stories can begin to feel like fan fiction. This issue is nothing like that, however. It teases just enough, and fittingly plays on what we’ve learnt about Gallifrey from David Tennant’s time on Doctor Who, namely the Untempered Schism. 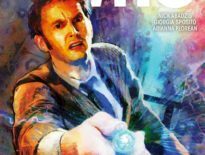 This was inevitable: after all, the two-part Wishing Well Witch (see The Tenth Doctor #2.8 and #2.9) featured victims of the Time Lords’ actions. While this comic doesn’t explain the mechanics of what happened, it expands and further intrigues, meaning the eventual denouement should be something truly special indeed. Oh yes, Abadzis has been playing a long game. It seems he’s setting up Year Three for the title while concluding the arc left over from Year One. 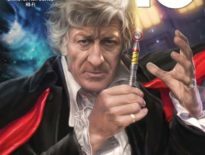 It’s a fine mix of showrunning mentalities: the comic feels like a product from the Russell T. Davies era, but with the foresight of Steven Moffat’s tenure (and a generous helping of the Fourth Doctor era too). Answer plenty of questions, while posing a whole lot more. It’s a solid technique, especially when each issue is as good as this one is: if you’ve been along for ride from the get-go, that’s perfect, but the quality of this also means that new readers will want to delve into the back-catalogue. 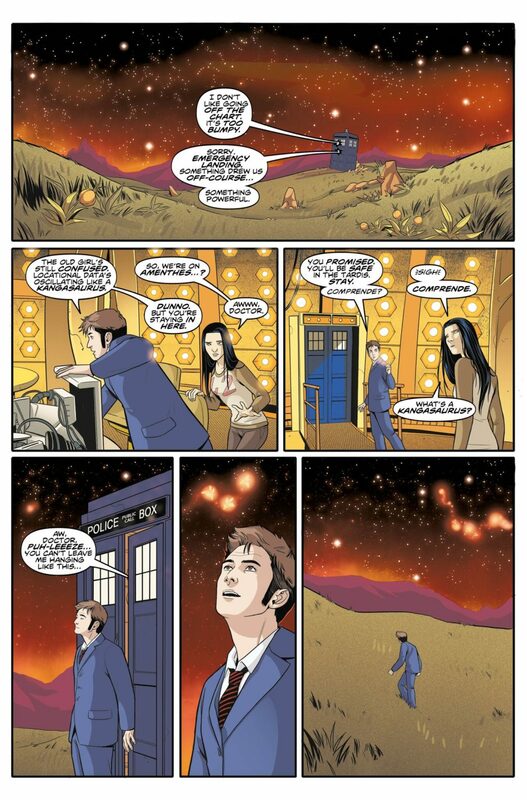 Of course, it’s not solely Abadzis’ vision: artist, Giorgia Sposito has been a huge presence in The Tenth Doctor Year Two, and alongside colourists, Arianna Florean and Adele Matera, produces a gorgeous issue. It’s rich, vibrant, and clear, yet surprisingly understated. Sposito expertly balances the spectacular with the smaller character-driven moments, while the backgrounds never fail to look beautiful. You even get to see other incarnations of the Doctor, though to say more would spoilt it. Let’s just say it’s via a creature that’s reminiscent of Doctor Who Magazine‘s Shayde, or perhaps Marvel Comics’ Orb. Sposito’s Tenth Doctor is particularly spot-on, so you feel right in the adventure. And what an adventure it is! It’s very difficult to find something to complain about with this comic… so I won’t bother! Suffice to say, this is the title you need to be picking up regularly. Superb. 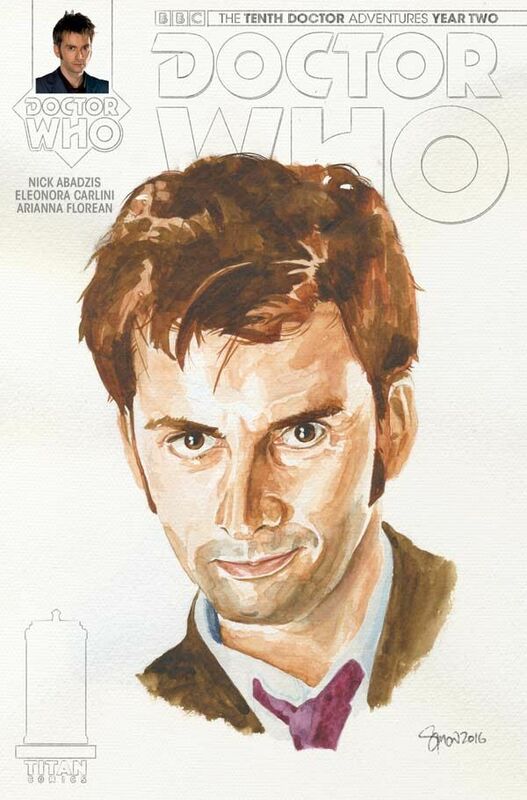 The Tenth Doctor #2.14 is out now, priced $3.99.